Quality brown leather moc crocodile coin purse. Zipped coin section with divider. 5.5" long x 3" tall. 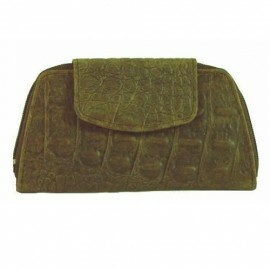 Matcxhing wallet/purse and handbag also available. Comes gift boxed.